The World Flying Disc Federation (WFDF) is pleased to announce that it has selected VC Ultimate as Sponsor and Official Apparel / Merchandise Supplier for the period 2015-2016. VC Ultimate, based in Toronto, Canada, will have the exclusive rights to develop and sell any and all official event merchandise and apparel for the WFDF’s world and continental championships over this period beginning with the WFDF World Under-23 Ultimate Championship this summer in London. 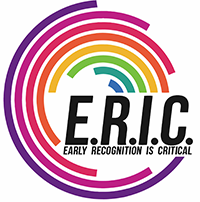 In return, this partnership will provide benefits to the players and teams, event organizers, and to WFDF. 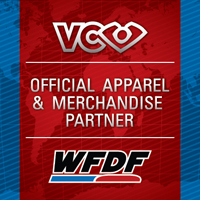 VC Ultimate will also work with WFDF to develop and market WFDF-branded gear to be sold through their Canadian, American and European online stores. The contract covers the following events: WFDF 2015 World Under-23 Ultimate Championships, WFDF 2015 Asian Oceanic Ultimate Championships, WFDF 2015 PanAmerican Ultimate Championships, WFDF 2016 World Juniors Ultimate Championships, and WFDF 2016 World Ultimate and Guts Championships. 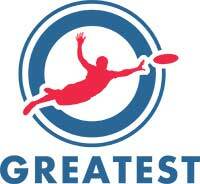 The partnership is expected to bring numerous benefits to the flying disc community. For players and teams partnering with VC Ultimate at these events, VC will offer sponsorship pricing uniform offers for all confirmed competing teams (a minimum 25% discount off of the retail prices), as well as preferred production priority and design services, complimentary printing of the event logo on uniforms, and, for teams competing in the UK at the WU23 2015, VC will offer to cover import duties on any uniform aspects shipped directly to the event. It will also offer event prizes for the SOTG winners and for the competition winners of each of the divisions. For event organizers, VC will pay a commission on all event sales and offer a full uniform package for the senior event staff organizers and identifying apparel for all volunteers. WFDF will receive support in the form of an annual sponsorship fee, contributions of staff gear and banners, and commissions on the sales of WFDF-branded merchandise. As the Sponsor and Official Apparel / Merchandise Supplier, VC Ultimate will have the rights to sell at all covered WFDF events, visibility and hospitality at the events and on WFDF media, the rights to sell event merchandise through non-event channels, visibility with potential WFDF television or Internet streaming partners, naming rights for sponsoring specific sub-events (parties, cultural events, receptions, etc. ), and the rights to develop and sell WFDF-branded merchandise at the event and through non-event channels.